Have you always had bookstores nearby? Were they important to you before you started to write? In the small Wisconsin town where I grew up, we had no bookstore and the time was before Amazon. I lived with my grandparents until I was ten so I had to wait for my mom or my aunt to visit. I’d beg them to take me to a larger nearby town so I could buy some books. Since their visits were once every month or two, I ended up re-reading the books several times. My cousins brought over the comic books they didn’t want anymore, but comic books didn’t interest me like books did. My mom remarried and she had me move with them to Milwaukee about an hour and a half away from my grandparents. What I liked the best was that I could walk to a bookstore. I spent every summer lugging books home to read. In sixth grade, I started writing short stories. My teacher took one of them home to read because I was writing during his lecture. It was on my desk the next morning with not a written or a verbal word about it. I guessed that he didn’t like it or maybe he didn’t bother to read it. I decided he took the story to discipline me so I’d stop writing and pay attention to him. I continued to write at home, after graduation, after I got married, and after I got pregnant. By that time, I had a large box, about the size for a big TV, filled with stories. I stored it in a walk-in attic we had at our Oakland, California flat. When we moved to Concord, I didn’t realize I had forgotten my box of writings. I went back to get it but the new renters had thrown it out. With a young son to raise and going to college to be a teacher, my writing had to be put on hold. I had been teaching for over 15 years when President George W. Bush pushed for “No child left behind.” Teachers’ transcripts were scrutinized and although I had a BA with a major in English and an MA in Education, I had to go back to college for more English units. What a surprise, but, of course, I chose writing classes and produced poems and short stories that I’ve revised and submitted to several sites. I teach creative writing classes now and one of them meets at a local bookstore. I’ve met authors I admire when they have had readings there. My new stories have been published in various short story collections such as Harlequin’s annual Christmas anthologies, Las Positas College’s, etc. I have published an anthology with short stories and poems by my writer friends. Members of my class and I have read at signings. At the rate bookstores are closing, I hope the independents can remain open and continue to offer not only books, but the events we’ve enjoyed. What is your experience with bookstores? Nice to know you better, Sistah! Thanks, Lady Winfred. Do you have a bookstore close to your house? Ah, bookstores! They’re like pitcher plants for me — I can easily walk in but have a nearly impossible time getting out! You might find my post “Books — An Impossible Addiction to Kick” (https://aclark2831.wordpress.com/2014/08/15/booksan-impossible-addiction-to-kick/) amusing. I agree, Annette. Hours disappear when I’m in one. If you are ever in Denver, visit the Tattered Cover. There are three locations, 15th Street , Colfax Avenue and Highlands Ranch. I spent one Saturday night sitting in an overstuffed antique chair with my feet up reading one of their books for 3 hours and enjoying a cup of tea. I felt no shame as I had plenty of company sitting in other rooms within the store doing the same thing. 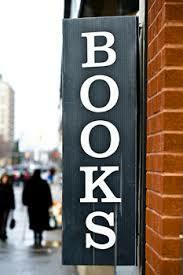 It’s a must see and experience bookstore!